In the late 1920s a qualified doctor of othodox medicine, Dr Edward Bach, developed an interest in alternative therapies. Leaving his successful London practice behind he turned his full attention to emotional healing involving plant and flower remedies. From this work, Bach Flower Remedies was born. 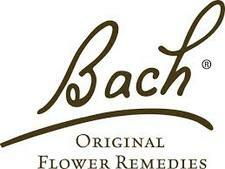 The Original Bach Flower Remedies is a system of 38 remedies designed to replace negative emotions with positive. These Original Remedies have been formed into 7 emotional groups, making it easy to determine which remedy is needed. There is also the Rescue Remedy range, which is a blend of five different flower remedies designed to bring focus, calmness and relaxation. The Bach Flower Remedies are safe for everyone, including children, pregnant women, pets and the elderly, and can be used in conjunction with herbs, homeopathy and orthodox medications. 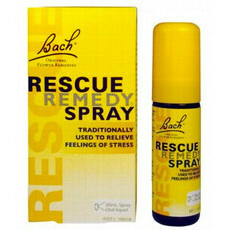 Bach Flower Remedies is located in California, USA. This brand has advised us that any ingredients which contain palm oil or its derivatives are from certified sustainable palm oil sources. Nourished Life does not currently stock any of those items. What's new this week at Nourished Life!